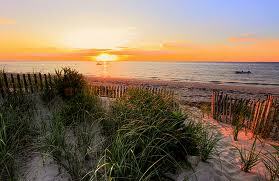 You can explore all of Cape Cod when you are staying at our Sandwich Bed and Breakfast. Just pick your areas of interest if you are staying a few days, or stay a week and explore the entire Cape. In earlier blogs we have written about the Upper Cape and the Mid Cape. This blog is Part 1 of a 2-part blog covering the Lower Cape. This blog will feature the towns of Dennis, Harwich, Brewster, and Chatham. 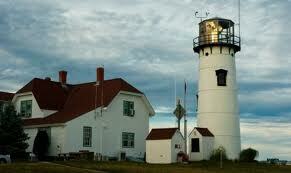 Part 2 will cover Orleans, Eastham, Wellfleet, Truro, and Provincetown, which some refer to as the Outer Cape. We really need an entire blog to cover the towns of Chatham and Provincetown. The same could be said of Dennis and Harwich. For Part 1 we are giving readers an over-view of Dennis, Harwich, Brewster, and Chatham, and we will begin with Dennis. Dennis has shoreline on Cape Cod Bay and on the Atlantic Ocean. It is a haven for beach lovers and sun worshipers with Mayflower Beach, and Corporation Beach on Cape Cod Bay and the many beaches of the south side. Cyclists know Dennis as the place where the 22 mile Cape Cod Rail Trail starts. When the train stopped running on Cape Cod, miles of railroad track were removed and the area was paved as a bike trail. The trail can be accessed on Route 134 and meanders through fields, forests, marshes, and cranberry bogs all the way to Wellfleet. There are also access areas in Brewster, Orleans, Eastham, and Wellfleet. It is a wonderful and safe place to bike. There are many places to access restrooms, beaches, and places to get a bite to eat. There are also places to rent bikes. Dennis has many wonderful restaurants and quaint shops and art galleries to explore. It is home to the nationally recognized Cape Cod Museum of Art and the Cape Playhouse, located on Route 6A. Dennis is considered by many to be the cultural capital of the Cape. A favorite spot in Dennis for these innkeepers is the Sesuit Harbor Café. Watching boats going in and out of the harbor and the great seafood served outdoors have long made this spot quintessential Cape Cod. Located behind a boat storage lot on Sesuit Harbor, visitors to the Cape often become frustrated trying to find this spot. The locals sure know how to get there. We will draw you a map. The next town along Route 6A is Brewster, which is know as “The Sea Captains Town” due to the elegant homes built by wealthy sea captains in the 1800’s. Many of these homes are now inns, restaurants, art and antique galleries, museums, theatres, and professional offices. Brewster’s restaurants feature everything from fried clam rolls to world-class, gourmet cuisine. The Cape Cod Museum of Natural History is a wonderful place to explore “natural” Cape Cod. 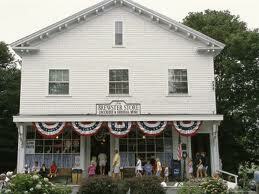 Brewster has lovely beaches, golf, bike and hiking trails, wonderful restaurants, and the fabulous 156 year old Brewster Store. When visiting the Cape, you should make time to visit and explore their unique assortment of merchandise. Have a cup of coffee and a pastry or a piece of penny candy. Put a coin in the old nickelodeon or just sit for a spell on the bench in front of the store. If you are visiting in the winter, warm up by the old coal stove. This place is a real treat. South of Brewster is Harwich. Harwich is actually made up of seven villages: East Harwich, Harwich Center, Harwich Port, Pleasant Lake, West Harwich, North Harwich, and South Harwich. If you would like to learn more about the history of Harwich, visit the Harwich Historical Society located at Brooks Academy Museum. Although the number one attraction is the 22 fresh and saltwater beaches, Harwich is rich with restaurants, antique shops and boutiques and places to hike, bike, golf, and kayak. In the harbors there are deep sea fishing opportunities. There is a huge cranberry festival in the fall and you can visit cranberry bogs. For baseball lovers, Harwich is home to the Mariners who are part of the Cape Cod Baseball League that features outstanding college baseball players. While in Harwich, pay a visit to the Cape Cod Lavender Farm. With over 14,000 plants on twenty acres, this is one of the largest lavender farms on the East Coast. They have wonderful items for sale made with lavender. Purchase something aromatic or delicious for yourself or to take home to a friend. Next to Harwich on the ocean, on south side, of Cape Cod is Chatham. It is located on what many refer to as the “elbow” of Cape Cod. Chatham has an abundance of historic and scenic areas. There are beautiful beaches, seal tours, nature trails, wonderful village shops and restaurants, and the famous Chatham Light House. In August, Cape Cod’s oldest and most prestigious Antiques Show & Sale is held in Chatham. It features fine American and European antiques. On Friday evening during the summer months, folks from all over the Cape gather at Kate Gould Park on Main Street for the Chatham Town Band concerts. Bring your blankets and folding chairs and join in this quintessential, small town America, good time. A trip to Cape Cod isn’t complete without a day-trip to Chatham. Of course we will provide you with a hearty and delicious breakfast and maps to start your adventure day-tripping around Cape Cod when you stay at our Cape Cod Bed and Breakfast.